I know I mentioned earlier this week that Sherman is well-trained and is not permitted on the furniture. While that’s 95 percent true, there is one exception to the rule: the bowl chair in my living room. Plum tuckered out from playing with his buddies. When I was a kid, everyone seemed to have one of these papasan chairs except my family; I think it’s because my parents got their fill of seventies furniture in the seventies. My little brother and I desperately wanted one for ourselves, a donut chair as we called it, and we asked for one for years with no result. We pictured ourselves enjoying our favourite literature in our imaginary donut chair: I planned to read Margaret Atwood and my brother dreamed of scouring hunting magazines in the light drifting through the living room window while we nestled in the bowl of our super funky chair. A little over eighteen months ago, when I didn’t have a couch because I couldn’t afford one, the papasan chair was the only place to sit in the apartment I had before I bought the dollhouse. I purchased the chair to satisfy my childish donut chair dreams. For the time, it worked. Here’s the thing: when you sit in a papasan chair constantly because it’s the only place to sit besides the floor, you realize that there are drawbacks to furniture shaped like mixing bowls. The incredible back pain is one issue; the inability to exit the chair fast enough to get to the phone before your grandma gives up on the sixth ring is the other. Keen readers are asking themselves how I bought a house only a few months after I was too broke to even own adult furniture. Remember that accident that ruined my hands? The insurance settlement, while quite modest, provided the down payment for my dollhouse, and my contract with the school board coupled with the fact that I manage my credit carefully meant I was able to get approved for the mortgage. It was a big girl move, and I’m blessed to be a homeowner –even if the bathroom is just barely big enough for one person to brush her teeth in comfortably. These days, the papasan chair functions largely as a place for Leroy to nap. 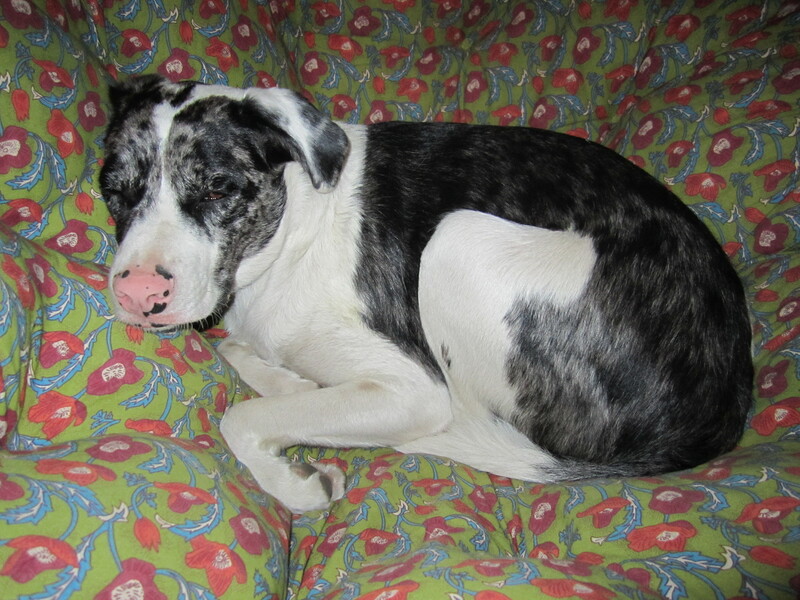 Sometimes, though, Sherman gets it in his sweet speckled head that he’d to snuggle into the big nest of a chair. He often flips the bowl part off by getting a little too exuberant in his dismount, but it generally works. I had to turn Glee up to drown out his snoring. 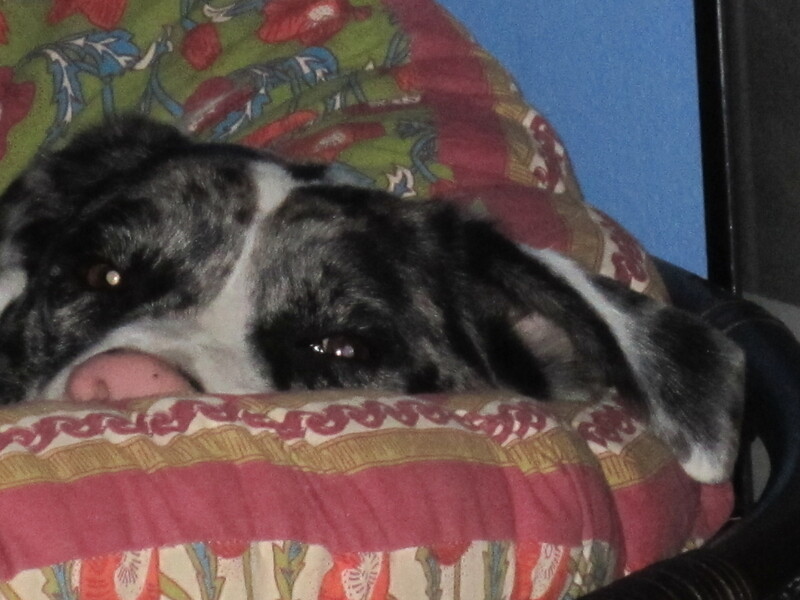 If I was a regular inhabitant of the papasan chair, I might take offense to the dog taking it over. These days, though, I’m so relieved he’s stopped investing his every waking moment in searching the house for something to outsmart or to eat that I don’t care so much if he wants to sleep on a chair I never use. I edited this photo to hide his shame. This is a family show. There are times I think Sherman considers me an inconvenience, particularly when he’s napping and I start snapping photos, or when he’s joyfully chewing a stick or the cat or the vacuum and I ruin his fun. Please don't call the SPCA on me. How he copes with such a stressful and demanding lifestyle is beyond me. I love your clever title!!!!! And Sherman is adorable in that chair. I think I need to get one of those for Wonderbutt. Wonderbutt will probably never lie on the floor again after trying the pup-is-on chair. 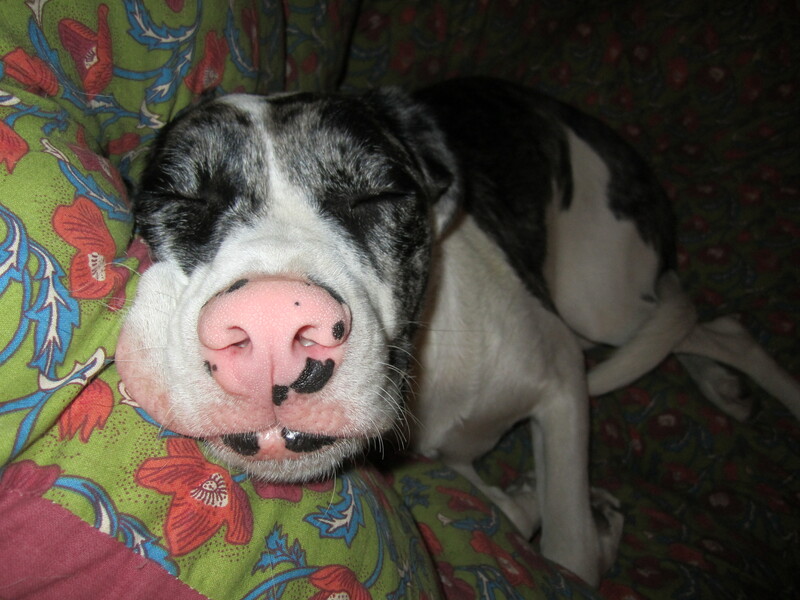 Truly a doggie dream come true! 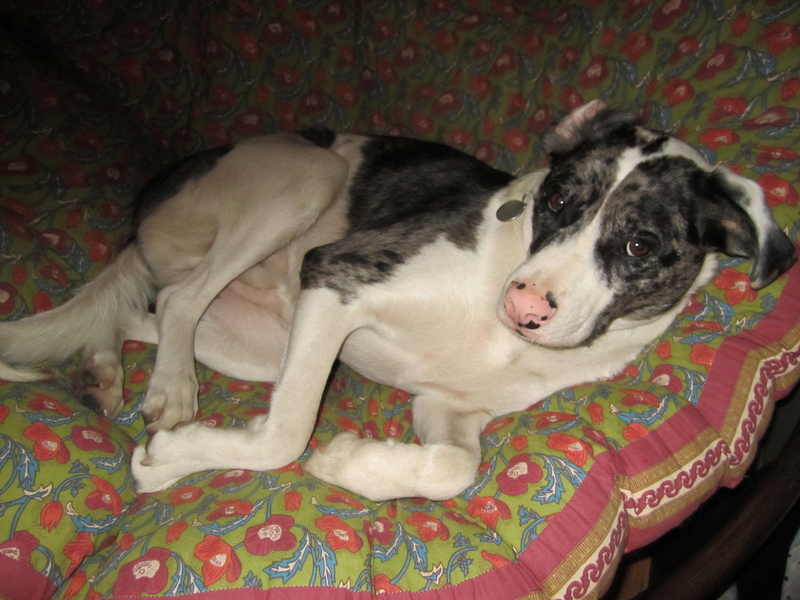 … which is probably why my dog makes the cute belly-up pose whenever he hops up on my (no dogs allowed) bed. he hasn’t tried the rest of the furniture, though, so it’s alright. I’m a sucker for a sweet face (clearly) so it’s good to know I’m not the only sap out there. If the dog is crawling into your bed, I hope you have either a big bed or a small dog. Poor guy. Somedays I want to call Amnesty International regarding his plight.